Railway operators in Japan recently teamed up with a local aquarium to solve a vexing problem that was disrupting travel and killing local turtles. Apparently, during the summer months, a significant number of turtles attempt to cross the tracks, located only a short distance from the ocean. In the process of crossing, turtles being turtles just don't move very quickly so some were getting squished by the trains. To give the turtles an alternate route, the railway built five U-shaped concrete ditches under the tracks close to the switch points. This ensures trains don't derail when they hit turtles and it ensures turtles are corralled and can be collected. Once that happens, the turtles can then be sent along to the local aquarium. Turtles and railroad operators throughout Japan hail this as making a key difference. When it comes to making a difference in the lives of employees, there are many areas where banks can focus in the coming year. Here are a few ideas to consider. One idea to give some thought for the New Year is revisiting your employee review methods. Several months ago we touched on the idea that some large companies have scrapped annual reviews in favor of more frequent informal supervisor/employee discussions. A survey of millennials by HR provider TriNet underscores why it's worth further consideration. The study found that 69% of millennials see their company's review process as flawed and nearly 90% would feel more confident if they could have more frequent performance conversations with their manager. Notably, 22% said they have called in sick due to anxiety about their upcoming review. Maybe this is something to consider in 2016. Another idea is to have a renewed focus on benefits. The results of a recent Glassdoor survey found 79% of respondents would prefer new or additional benefits above a pay increase. Specifically, people placed high emphasis on benefits such as healthcare insurance, vacation, paid time off, performance bonuses and paid sick days. Other perks that employees highly value include retirement plans and flexible scheduling. If it's been a while since you reviewed your benefits packages, this might be another area to consider. A third possibility is providing resources to employees that can help protect them from taking risks that could have serious financial consequences. Programs to help employees improve their financial wellness are particularly important, as more are juggling student debt, supporting aging parents, the rising cost of health care and retirement preparedness. A recent survey by Jellyvision, conducted by Harris Poll, found that 46% of those polled say their employers offer financial wellness programs and 25% said they don't know whether such programs exist at their company. Having financially healthy employees is critical, so here again, perhaps something to consider. Finally, consider promoting the work-life balance of your staff. This will become an even bigger issue as baby boomers retire and the workforce gets younger. According to a recent study by INSEAD, nearly 50% of millennial respondents said they'd give up a prestigious, high-paying job in exchange for a better work-life balance. Some areas for banks to investigate here could include more flex-time, work-at-home options or paid parental leave. To stay competitive, banks have to continually evaluate and tinker with employee benefit programs so now is perhaps a good time to think about next year. 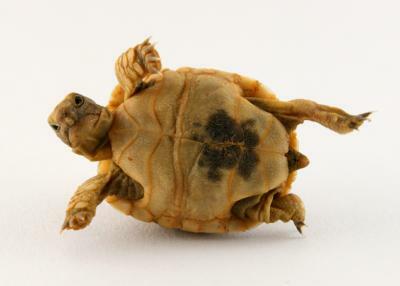 After all, no one can afford to move as slowly as a turtle when it comes to employees. Oil rebounded while Treasuries fell for the first time since the interest rate hike, raising yields 4bps. Canadian Imperial Bank of Commerce ($463B, CAN) will sell its 41% stake in American Century Investment Management Inc. to Nomura ($42B, JPN) for about $1B. CIBC took the action to generate a $170mm gain, strengthen its capital and reallocate resources to other strategic priorities. For banks wishing to avoid trouble in CRE lending during 2016, note that regulators say banks managing risks in this area will often take actions such as: conducting global cash flow analyses based on reasonable rental rates; sales projections and operating expenses; and performing market and scenario analyses of CRE loan portfolios to calculate the potential impact of changing economic conditions. Meanwhile, regulators say risk management practices that will be closely reviewed include: insufficient monitoring of market conditions to assess concentration risks; a greater number of underwriting policy exceptions; a high level of recent growth in CRE; strategic plans that call for substantial growth in CRE; and operating in market or loan segments seeing increasing risk. Research by BI Intelligence finds 26% of millennials in the US visit a physical bank branch less than 1x per month and another 38% do not visit bank branches at all. This is important because millennials now represent the largest percentage of the employed population. The Wall Street Journal reports Ellie Mae indicates it took an average of 49 days to close a single family residential mortgage loan in Nov. vs. 46 days in Oct. This is the longest time to close since Feb. 2013 and is reportedly the result of lenders adapting to new CFPB rules designed to make mortgage terms easier to understand for borrowers. Community bankers should note that Fidelity finds about 50% of people want to involve their family in wealth planning discussions and 98% who inherit money will move it from their current investment advisor within 1Y. Bankers may want to provide more seminars and information on this subject to help families through one of the greatest wealth transfers in history as boomers pass along investments and savings to millennials and Gen X.